What Makes a Realtor Different From an Agent? Some people think that all real estate agents are "realtors," calling agents by that name generically without realizing that not every agent can legally use the title. 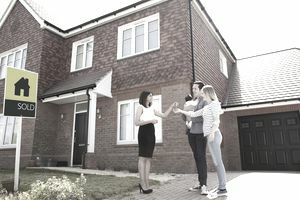 A career in real estate is complicated enough, and many major brokerages require that agents become a realtor but it is not legally required. Way back in the early 1900s, agents were considered peddlers, if you can believe that. We have come a long way. When agents become realtors they must agree to conduct their business in a way that adheres to the NAR's Code of Ethics. The realtor's code covers ethical requirements that deal with all aspects of the job, from working with consumers and fellow agents to writing truthful advertising. The organization does not have the ability to suspend a real estate licenses -- that action can only be accomplished by the real estate licensing commission that granted it. Licenses in the US are granted by each state. A complaint is generally based on a possible violation of one or more of the Articles from the Code of Ethics. During the hearing, the realtor can obtain legal counsel and will be given an opportunity to present the realtor's side of events. The verdict is final. If the realtor is found guilty, punishment can include a temporary or permanent revocation of membership benefits such as access to MLS, for example, a monetary fine, a requirement for more education or a combination of all those things. Consumers and real estate agents can learn more about what it means to be a realtor on the NAR's website.